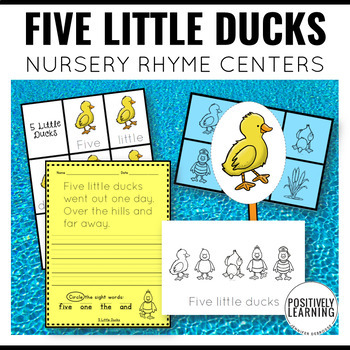 Here's a set of centers featuring the adorable children's fingerplay song "5 Little Ducks," plus hands-on literacy tasks to support your students! This product is part of a GROWING bundle featuring favorite fingerplay poems and nursery rhymes! 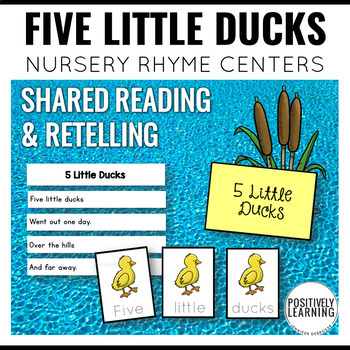 Retell Materials – using a mentor sentence from 5 Little Ducks, includes colorful or black and white props! 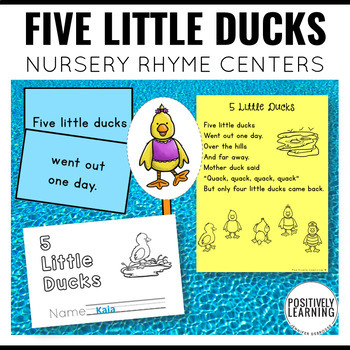 Sentence Builders – based on the mentor sentence from the nursery rhyme, perfect for independent hands-on practice! This product also includes organizational tips and tools! 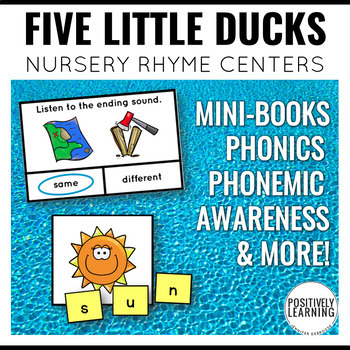 If you are interested in more nursery rhymes and literacy task centers, I have a free set in my store: Georgie Porgie Nursery Rhymes Literacy Tasks! Please download the preview file for a closer look! Follow my store for the latest updates and new products! Copyright © Positively Learning. All rights reserved by author. This product is to be used by the original downloader only. Copying for more than one user is prohibited. This product may not be distributed or displayed digitally for public view. Failure to comply is a copyright infringement and a violation of the Digital Millennium Copyright Act (DMCA). Clipart and elements found in this PDF are copyrighted and cannot be extracted and used outside of this file without permission or license. See product file for clip-art and font credits.